Somerford Mini Limited has secured funding to revamp its website and modernise the business. Founded by Peter Hines in 1990, the Calne-based firm is using the money from HSBC UK to update its website and buy new software which will mean it can be optimised for different platforms and translated into five languages and currencies. The new online functions are expected to increase turnover by 10 per cent. The business has also just hired its ninth employee and expects to continue growing the team over the next six months as the firm expands its online services. Peter established Somerford Mini in 1990 as a hobby, but it developed into a career. Using a grant from the Prince’s Trust, he started the business on a farm, collecting classic Mini parts. Twenty-nine years later, Peter’s business has grown into an international supplier of Mini parts, as well as being able to repair and restore classic MINIs from scratch. 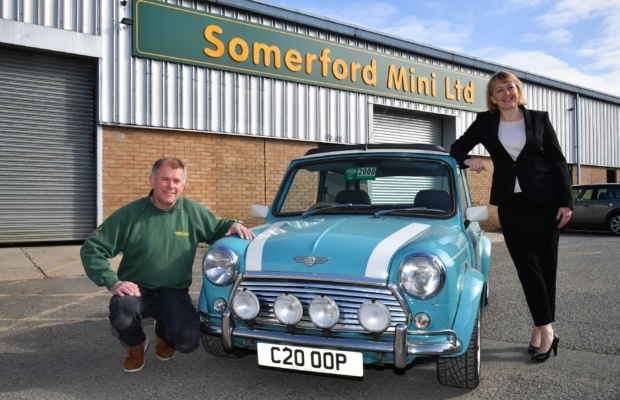 Somerford Mini Limited is one of the top sponsors for the International Mini Meeting 2019 happening in Bristol to celebrate the 60th anniversary of the car. Some 20,000 people will be flying from all over the world to celebrate the event. The funding from HSBC UK comes after Peter secured a six-figure finance facility in 2015 to relocate the business to new premises. This recent deal is part of HSBC UK’s £550m lending fund to support small and medium-sized (SMEs) enterprises in the area.